Over decades, every fall the Uzbek government forcefully closed down hundreds of schools. From 1.5 to 2 million Uzbek children, but also their teachers, civil servants, and private employees were forced every year by the state to spend weeks during the harvest season working in precarious conditions to pick cotton. While in 2012, following international pressure, the Uzbek government reduced the number of young children in the harvest, it dramatically increased the forced mobilization of children aged 15 years as well as of students and adults. Also, the reprisals against those who oppose the practice of forced labor have been greatly expanded. Uzbekistan is one of the largest cotton exporters in the world; cotton generates about 20% of Uzbekistan's GDP, accounting for over 1 billion US dollar. Uzbekistan implements a command economy with a quota system for the whole country's cotton production, over which the government has the monopoly. Such command economy is the root cause of forced labor of both children and adults, in violation of ILO Convention 105. As such, children working within that command economy are suffering from the "worst forms" of child labor, in violation of ILO Convention 182. Most, if not all cotton profits end up in the hands of elites at the top of the Uzbek government, while farmers, workers and children families do not benefit from any of it. ECCHR has been engaged in various proceedings to demand that the political and economical interests of Western actors do not further undermine human rights in Uzbekistan, but instead, that Germany, the European Union, and the International Labour Organization (ILO) firmly abide by transparent and human rights-based policies, and uphold accountability where needed. To that extent, ECCHR has sought criminal accountability of Uzbek officials for human rights violations and later launched OECD complaint proceedings against seven European cotton trade houses accused of buying Uzbek cotton in violation of international standards for multinational enterprises. 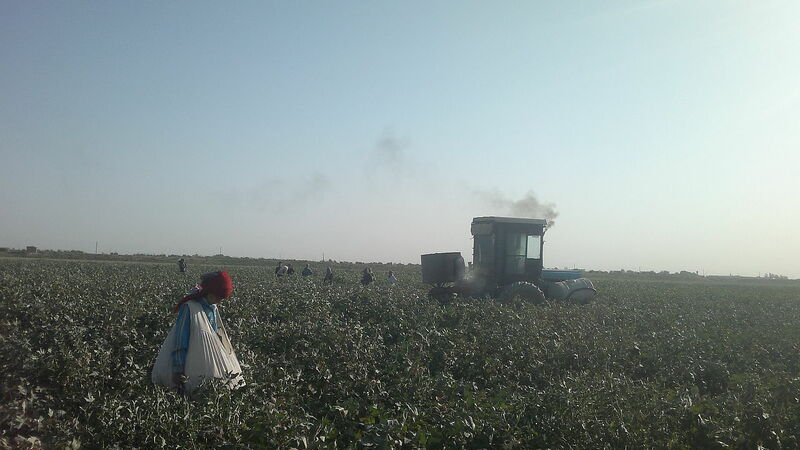 In its fight against state-sponsored forced labor of children and adults in the Uzbek cotton fields, ECCHR is an active member and works in close collaboration with the Cotton Campaign, an international coalition of rights groups advocating for an end to cotton crimes in Uzbekistan.